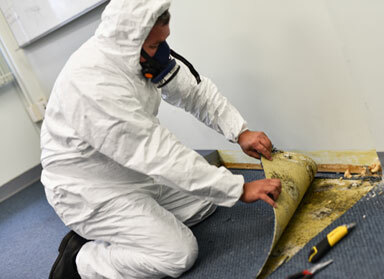 QED Environmental Services has established its leading reputation over 17 years of Asbestos and Hazardous Materials consulting – a reputation for insights to risk, independent advice and practical solutions. Our consultants’ deep experience spans industrial, retail, office, healthcare, mining and infrastructure projects in locations from remote Western Australia, to CBDs around the country and at offshore sites. The methodology employed by QED Environmental Services is NATA accredited, complying with the regulation and codes of practice that apply in each state and nationally. 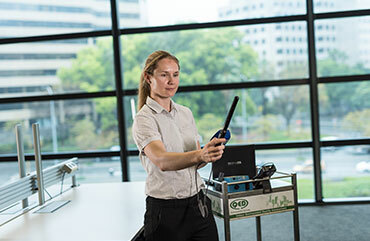 In Australia, exposure of building occupants to pollutants, whether industrial or non-industrial falls within the requirements of occupational health and safety legislation that is set at State level. All workplaces that reside in a structure built prior to 2004 must have either a clearance or an asbestos register detailing where the asbestos is located, and a management plan for its identification, sealing, and eventual removal. 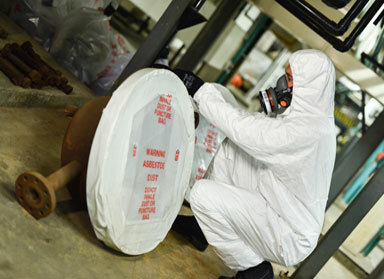 Government regulations require a review of the asbestos register at regular intervals. Where significant risks are identified and removal is recommended the works must be cleared by an independent professionally accredited firm. Potential sources of lead exposure include lead based paint, lead dust in the soil, air or drinking water, and lead materials in the workplace. Exposure can also occur from uncontrolled lead removal activities. Even though the importing of PCB’s was banned in 1976, they may still be present in transformers and capacitors in older buildings. The risk associated with PCB’s occurs primarily in the case of leaks and fire, at which time contamination of air and surfaces can occur. The main source of emissions of SMF’s in a building, mainly in the form of glass fibres, is from thermal, acoustic, fireproofing and miscellaneous insulation.